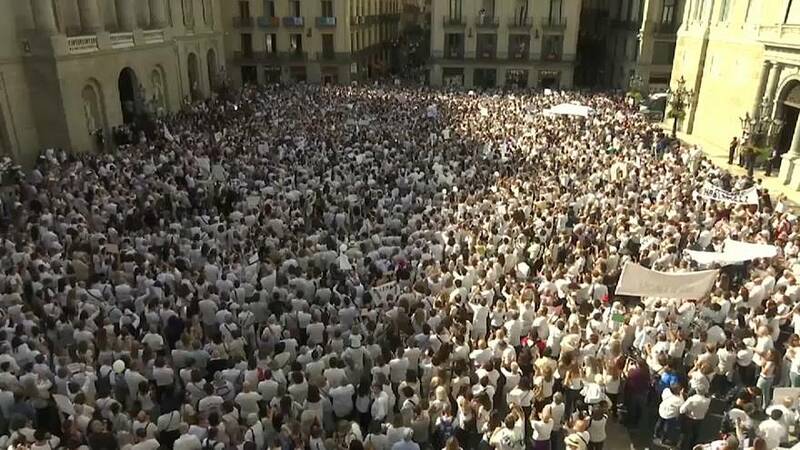 Thousands of people gathered in Barcelona as Catalonia prepared to declare independence with many dressed in white and calling for talks to defuse Spain’s worst political crisis for decades. Spain, a vote the constitutional court had banned. The Catalan authorities say that a majority of those who voted supported a split from Spain, something Madrid says is illegal under the country’s 1978 constitution.